Craig Ralph Douglas (30) of Lower Skircoat Green, Copley Lane, Halifax, given three points on his licence, £550 fine, £55 victim surcharge, £85 costs for driving a motor vehicle where the number of passengers carried by it was such that its use involved a danger of injury to any person and for driving without a test certificate. John Anthony Ainsworth (73) of Sherburn Road, Brighouse, given four points, £214 fine, £66 victim surcharge, £85 costs for speeding. Michelle Dawn Ormsby (47) of Thornhill Bridge Lane, Brighouse, given six points on her licence, £660 fine, £66 victim surcharge, £85 costs for failing to give information relating to the identification of a driver. Katie Louise Day (31) of Dean House Lane, Luddenden, given three points on her licence, no totting disqualification, £138 fine, £30 victim surcharge, £85 costs for speeding. Osman Malik (31) of Victoria Road, Elland, disqualified from driving for 21 days, £795 fine, £79 victim surcharge, £85 costs for speeding. Safraz Riaz (31) of Essex Street, Halifax, disqualified from driving for 16 months, £60 fine, £30 victim surcharge, £85 costs for drug driving and disqualified from driving for 16 months, £60 fine for drug driving. Sadaqat Hussain (36) of Dyson Road, Halifax, £80 fine, £30 victim surcharge, £85 costs for possession of cannabis. Sadaqat Hussain (36) of Dyson Road, Halifax, £120 fine for using threatening, abusive or insulting words or behaviour or disorderly behaviour, thereby causing that person or another harassment, alarm or distress. Craig John Richards (29) of Pellon New Road, Halifax, given a community order, £85 victim surcharge, £85 costs for criminal damage of a car to the value of £1,300. David Alan Davinci (57) of Gardeners Square, Hipperholme, given six points on his licence, £660 fine, £66 victim surcharge, £85 costs for failing to give information in relation to the identity of a driver. Hussain Aslam (33) of Moins Close, Halifax, given four points on his licence, £440 fine, £44 victim surcharge, £85 costs for speeding. 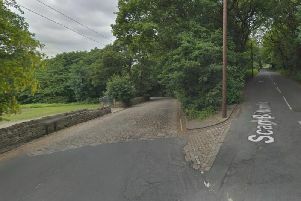 Joseph O’Callaghan (21) of St Peter’s Avenue, Sowerby Bridge, given a community order, £200 compensation, £85 victim surcharge for a racially aggravated assault. Benjamin Davies (23) of High Meadows, Greetland, given five points on his licence, £173 fine, £30 victim surcharge, £85 costs for speeding. Abdul Hossain (36) of Rye Lane, Pellon, given six points on his licence, £660 fine, £66 victim surcharge, £85 costs for failing to give information in relation to the identity of a driver. Syed Hussain (36) of Rye Lane, Pellon, given six points on his licence, £660 fine, £66 victim surcharge, £85 costs for failing to give information in relation to the identity of a driver.